The Palmetto Police Departments says a woman was killed Sunday morning after her ex-boyfriend forced his way into her home and shot her multiple times. 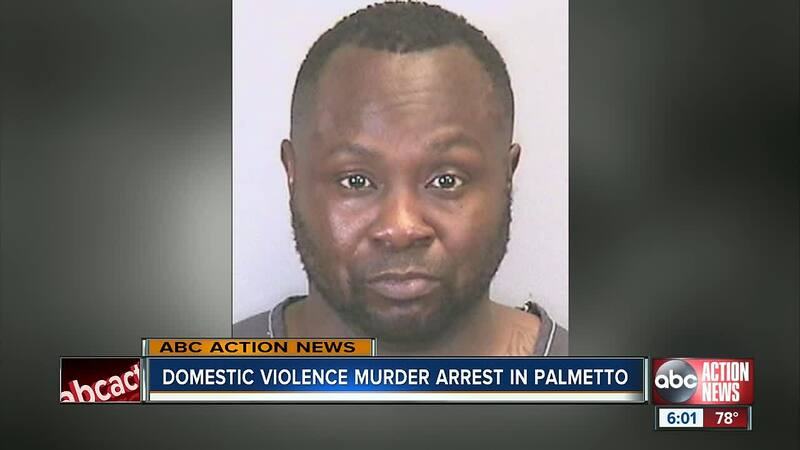 PALMETTO, Fla. — The Palmetto Police Departments says a woman was killed Sunday morning after her ex-boyfriend forced his way into her home and shot her multiple times. Stephanie McNabb, 41, was semi-conscious when police found her suffering from multiple gunshot wounds. She was taken to Blake Medical Center, but succumbed to her injuries. Police say 41-year-old Flozell Murrell III forced his way into the home and shot McNabb. She was inside with a two-year-old, an infant and four other adults. Murrell attempted to shoot one of those adults, a 26-year-old man, but he missed and a struggle ensued. Murrell broke free and ran from the home, police say. He was found within a few hours and arrested. He's been charged with first degree murder, attempted murder, burglary, assault and possession of a firearm by a convicted felon. Police say Murrell and McNabb had a long standing relationship, but weren't together currently. He did not live in the home where the shooting took place.